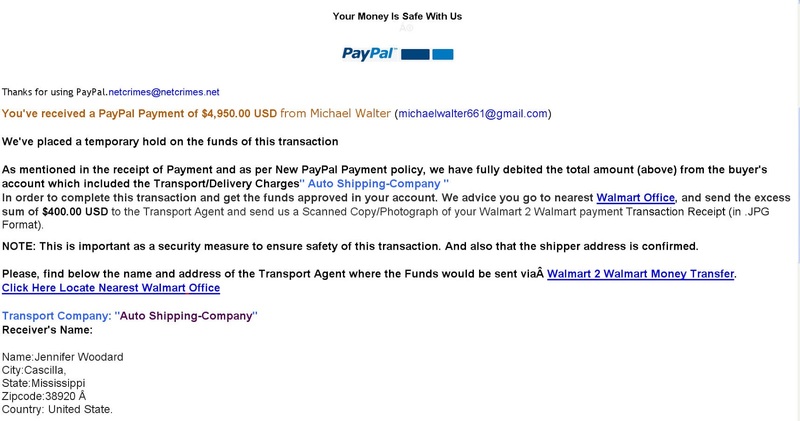 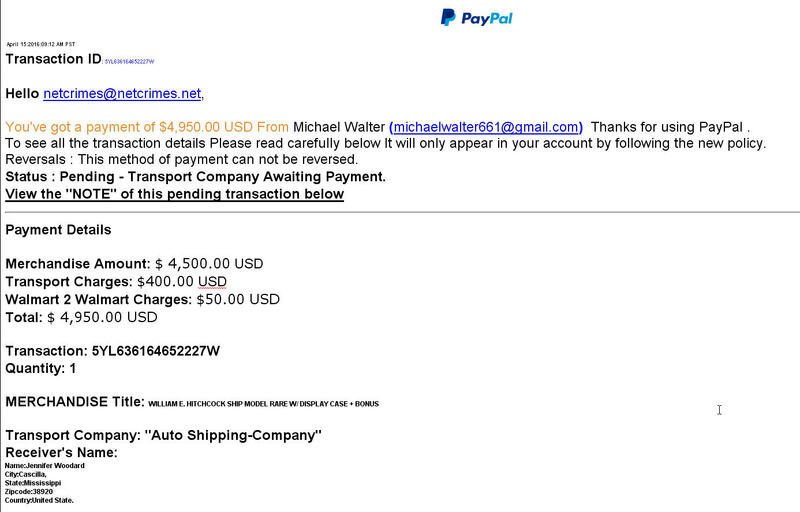 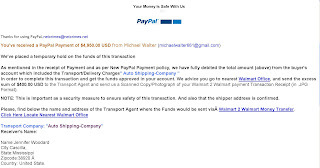 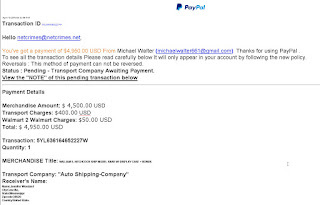 Then an email from "Paypal:"
I checked the link for Walmart and sure enough, it did go to Walmart's real web site. 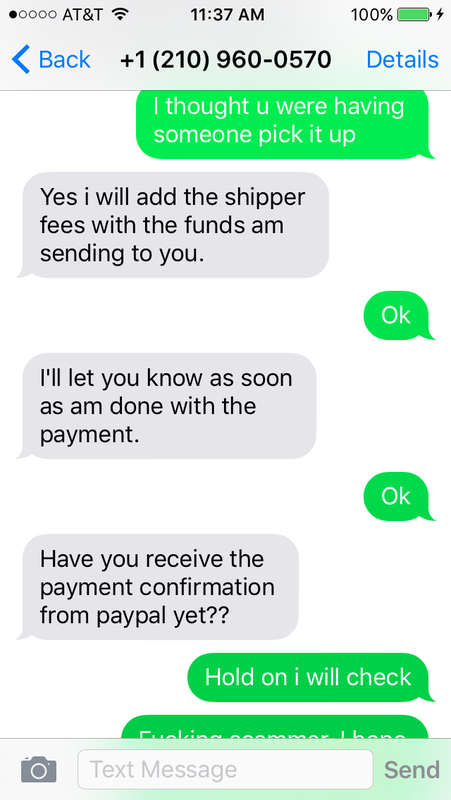 But, when I clicked on "Click here" for Paypal customer service, SURPRISE! 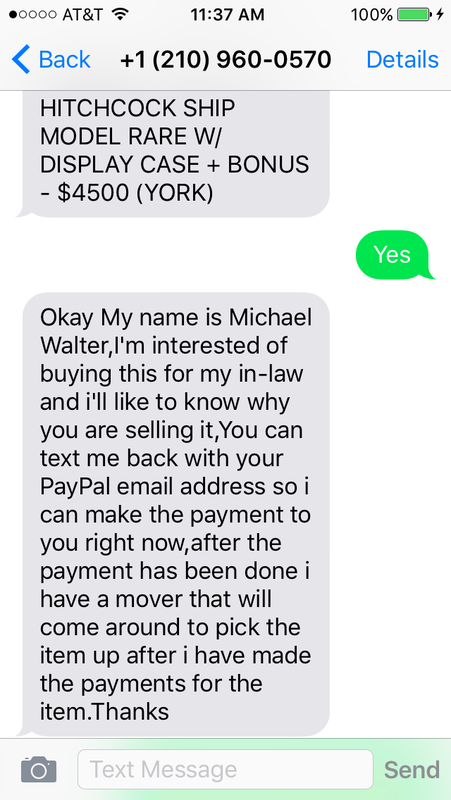 I hope he *does* burn in hell. 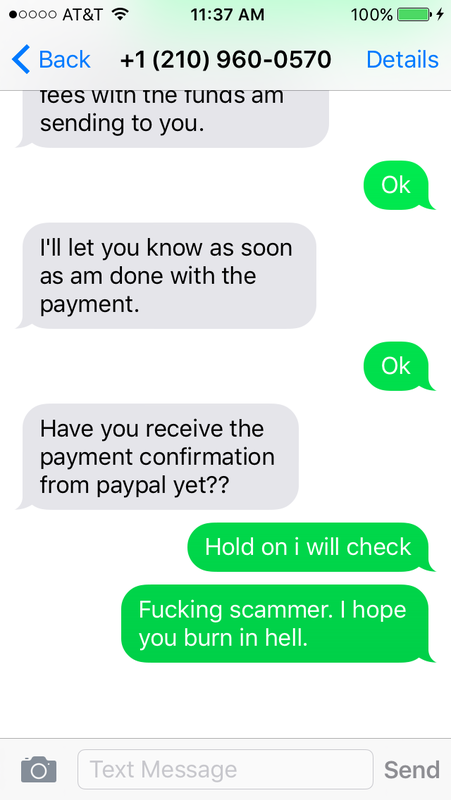 Now to report him. 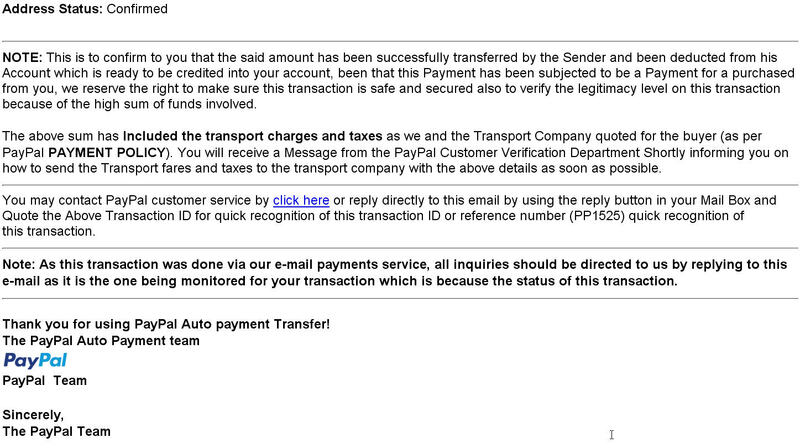 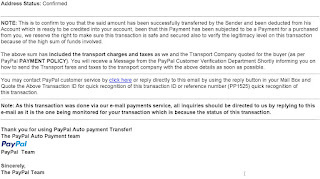 Sent both email with full headers to abuse@google.com and domena@az.pl for the "customer service" email address. 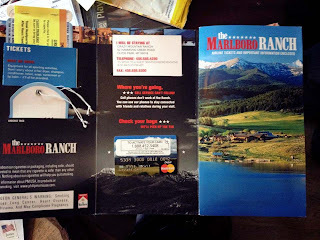 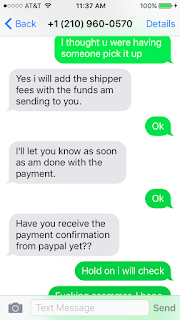 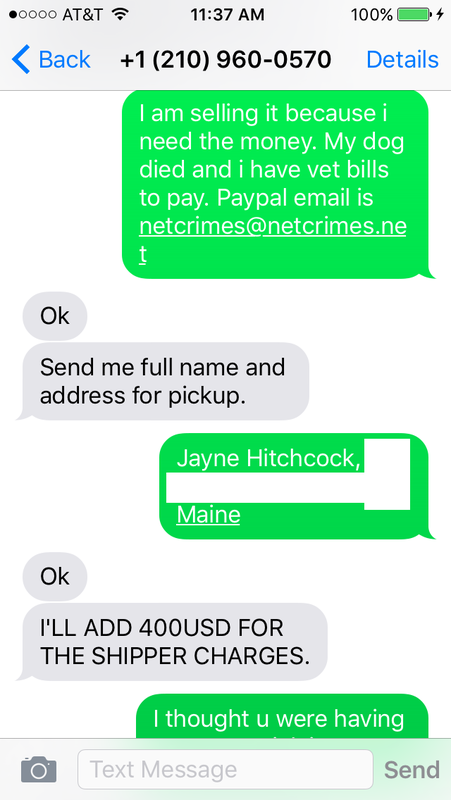 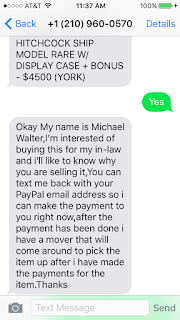 The phone number 209-960-0570 traced back to what seemed to be a legit number (there were classifieds placed where this person was selling items online). 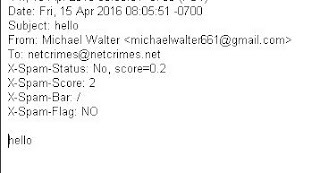 I found out it belonged to Ring Central aka RCLEC in Texas. 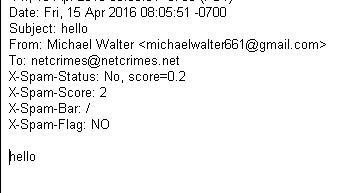 So I sent an email to LEGAL@RINGCENTRAL.COM and to anita@commlaw.com, who is the regulatory commissioner. 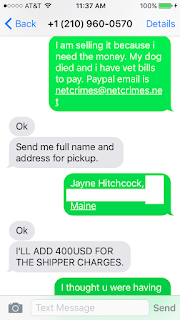 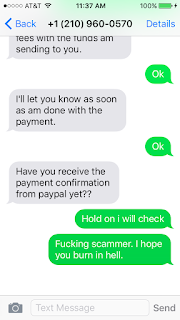 Add this number to your blocked list and keep fighting scammers!